From generation to generation, we pass along stories, letters, photo albums, mementos, journals. Our family histories give our lives meaning. Our family histories are also a part of the story of our state, the region, and the country. The Southern Historical Collection in UNC’s Wilson Library invites you to participate in the African American Family Documentation Initiative. Help us tell all our stories. Inspire families with how these materials are used by scholars, artists, writers, etc. Mary Louise Lewis (wife of WRAL broadcaster, J.D. 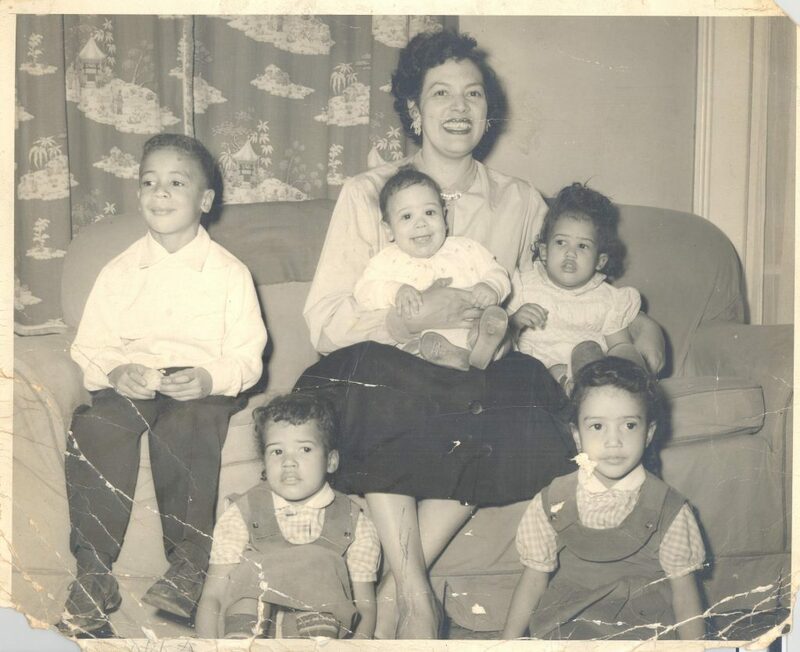 Lewis) in her Raleigh, NC home with her five children (l-r) John D. Lewis III, Yvonne Lewis Holley, Leonard Lee Lewis, Patricia Lewis Waddell, and Evelyn Lewis, circa early 1950’s.